Kevin reminds me of where and when I encountered Stellarc in my life. One sought to glorify singularity and the other seeks to inform it. 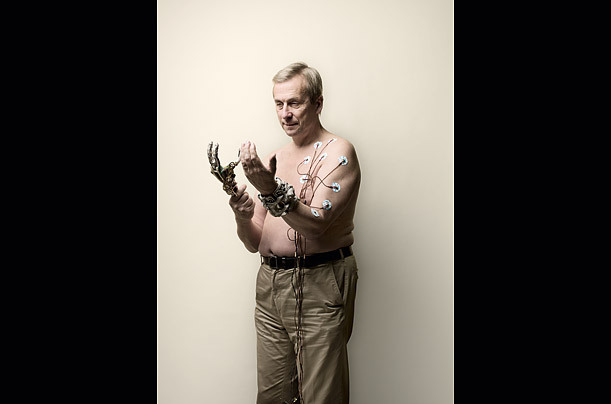 I just recall speaking with Stellarc about what he predicted and Kevin Warwick was what he predicted. The move on from pneumatics to bodyfield, wirelessly enabled firmware updates of wearable tech. Strange how it's all coming together now and in no way is it predictable.